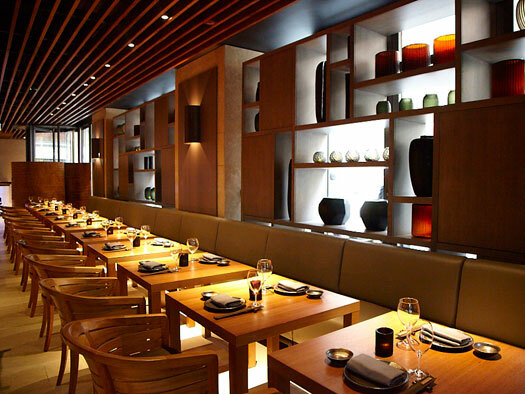 Newly opened Russian owned Novikov is located at Berkeley Street and attracts the cool City crowd as well as the Nouveau Riche and the Russians. Girls, don't forget to wear your silver fox fur and Chanel bag if you want to mingle well. The venue has two restaurants - Asian and Italian and the lounge downstairs. It welcomes you with a cool blue glow and is very buzzy and fills up very quickly so it's best to make a reservation, my prediction is it might get more and more difficult as the months go by and it will have the availability compared to Zuma, so get it while you can! It seems like it is the new place to be in London, certainly my current favourite. Asian restaurant in Novikov is quite similar in decor to Hakkasan, with the same buzzy vibe and wooden tables of an eatery, the service is excellent and the waiters extremely caring and knowledgeable. So far I have tried the Asian menu and I must say it is excellent, everyone can find something they like, from a selection of sushi and sashimi, to main dishes- meat and fish, salads, dim sum etc. All inspired from various parts of Asia. Make sure you read the menu properly otherwise you are facing a serious food envy when you see what arrives on other peoples tables. 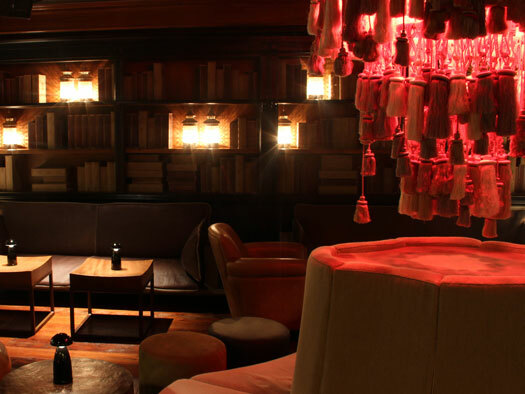 The bar/lounge downstairs is decorated as a modern style library with small tables, sofas and fancy chandelier. Shame the books aren't real but I guess perhaps you could leave a secret message in the wooden book box for your fellow KGB spy. ;-) I'd prefer a few few copies of 'War and Peace' scattered around so I can catch up on my reading while waiting for my friends. There is a large selection of drinks for apres dinner or apres work. It gets filled up by the end of the week with the fun crowd and i's difficult to get a seat at the tables but you can always stand by the bar. All in all a great fun place to go for dinner or drinks, fantastic food and great ambiance, very welcoming venue, makes you want to eat there every day.